Thank you for taking the time to visit the Hillhurst Dental website (formerly Eau Claire Market Dental). At Hillhurst Dental we welcome ALL new patients to visit our practice. We are conveniently located on 14th Street North at the intersection of 5th Avenue NW. There is plenty of free parking available behind our practice in our parking lot. The parking lot is accessible from the alley west of 14th Street or if you are coming south on 14th Street from the Jubilee Auditorium, we are on the right-hand side after Plaza 14 across from the Grace Hospital. Our practice is also accessible via public transit with buses right on 14th Street or 5th Avenue NW. At Hillhurst Dental our practice uses modern digital dentistry in a comfortable, warm and inviting environment. In our practice we believe in helping our patients feel good about themselves by using our expertise to provide the finest quality patient care possible. Since we are dedicated to excellence in dentistry, it is our goal to provide quality dental care to our patients for a lifetime of oral health. Since we are a downtown Calgary Dentist located in Hillhurst, we are pleased to offer you and your whole family a full range of General, Family, Cosmetic (Restorative) and Orthodontic Dentistry services. Our most popular general dental services include Restorative (Cosmetic) Dentistry, Teeth Cleanings, Orthodontic Dentistry, and Full Mouth Rehabilitation. If you require a service not listed on our website, please contact us and we will happily point you in the right direction. 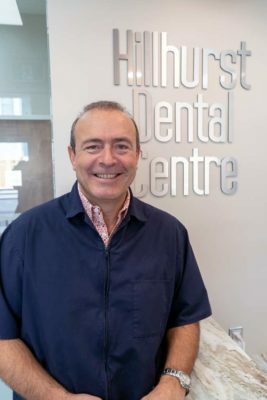 Hillhurst Dental offers complete general and cosmetic dental services for your entire family, working with patients of all ages and all types of cases. Our practice was designed for the ease and comfort of all of our patients. When you visit our clinic, we want you to enjoy your experience. From massage chairs to laughing gas, at Hillhurst, these relaxation options are available to ensure that you, the patient, is as comfortable and at ease as possible. Call Hillhurst Dental at (403) 263-7779 to request your appointment today.